Now, as reflexology has become more popular complementary treatment in the western world, and studies have indicated the effectivity of footsole acupressure in pain relieving, Stabilic brings the ancient knowledge to this day. It offers an effective and convenient healing method for today’s busy people. Stabilic acupressure insoles follow the methods of reflexology treatment by allowing a patient to massage the migraine’s/headache’s reflection points on the footsoles while sitting and walking. The product package includes the insoles, detachable studs, and instructions for placing the studs on the migraine’s/headache’s reflection point on the insoles. In the study of Stabilic-team, which included 31 patients, 85% of the patients received help for their migraine symptoms after a four-week use of Stabilics. 31% of the respondents were able to reduce taking painkillers. 88% of the respondends would recommend the product to others. Stabilic acupressure insoles enable you to relieve pain in neck and shoulder area that may also relate to headache symptoms. 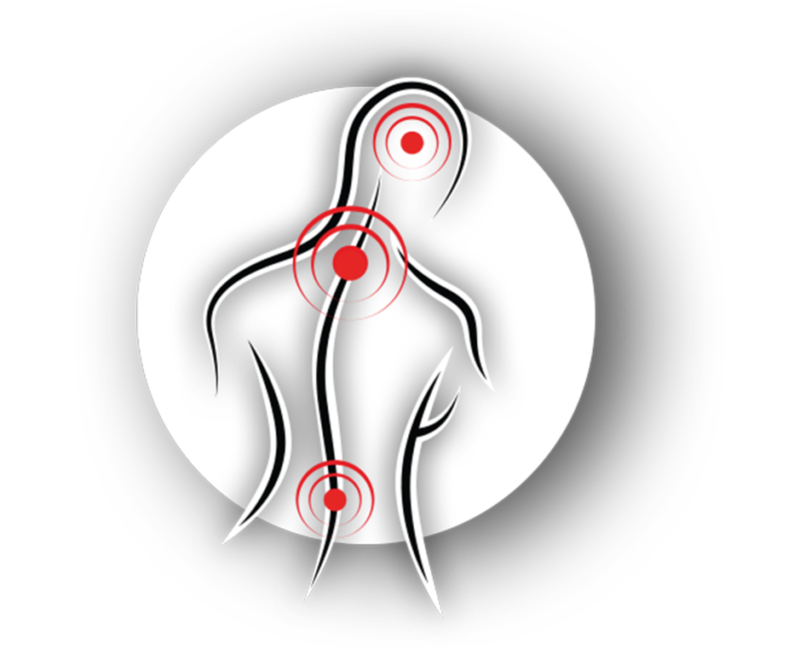 Look for more specific instructions for treating neck and shoulder area behind the ”usage” tab. Stabilic acupressure insoles follow the methods of reflexology treatment by allowing a patient to massage the lower back pain’s reflection points on the footsoles while sitting and walking. 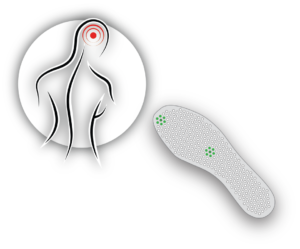 The product package includes the insoles, detachable studs, and instructions for placing the studs on the lower back pain’s reflection point on the insoles. In the study of Stabilic-team that included 58 patients, 86% received help for their lower back pains after using Stabilics for two weeks. 42% of all patients were able to reduce the usage of painkillers. 68% of the patients would recommend this product to others. Stabilic footsoles enable you to relieve pain in all back areas. Look for more specific instructions for treating all back pain areas behind the the “Usage” – tab. (1 Eghbali, M., Safari, R., Nazari, F., Abdoli, S. (2012). The effects of reflexology on chronic low back pain intensity in nurses employed in hospitals affiliated with Isfahan University of Medical Sciences. Iranian Journal of Nursing and Midwifery Research, 17(3), 239-243. (2 Launso, L., Brendstrup E., Arnberg, S. (1999). An Exploratory Study of Reflexological Treatment for Headache. Alternative Therapies, 5(3), 57-65. (3 Lee, J., Han, M., Chung, Y., Kim, J., Choi, J. (2011). Effects of Foot Reflexology on Fatigue, Sleep and Pain: A Systematic Review and Meta-Analysis. J Koean Acad Nurs, 41(6), 821-833.